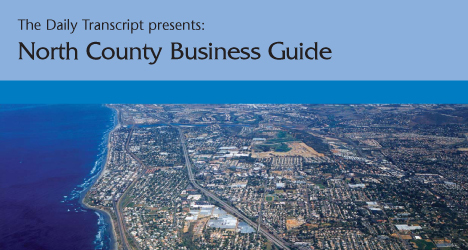 North County's business community continues to grow at an amazing pace, and many business owners and entrepreneurs are looking for new and exciting ways to promote and further develop their businesses. This report will detail what's going on up north. As a child, Betty J. Hall, a small-animal veterinarian and owner of Canyon Creek Animal Hospital in Carlsbad, dreamed of becoming a veterinarian. Small business owners will have increased opportunities to participate in federal prime and sub-contracting rebuilding efforts in the areas affected by hurricanes Katrina and Rita. To be effective as a leader, you must develop skills in strategic thinking. Strategic thinking is a process whereby you learn how to make your business vision a reality by developing your abilities in team work, problem solving, and critical thinking. It is also a tool to help you confront change, plan for and make transitions, and envision new possibilities and opportunities. The Ocean Terrace Professional Center, located on Vista Way in Oceanside along the state Route 78 corridor, is currently under development. A surging demand by local owner-builders to build their own custom homes and remodel existing homes, has led UBuildIt's Escondido office to double its size with new 2,100-square-foot offices at 1260-C Auto Park Way in Escondido, according to Randy Tutor, owner and partner of UBuildIt's Escondido office. The San Diego North Economic Development Council, along with other regional security technology developers and service providers, has formed SafeNet International, a nonprofit organization to accelerate the economic opportunities for the emerging security technologies industry sector in Southern California. A conference facility with a hotel may be in Oceanside's future, but it will be up to a consultant to recommend how large and where is the best site. Realty Income Corp. is paying $200 million to acquire a Midwestern theater portfolio and is on pace for $400 million in acquisitions this year. Strategically located in central San Diego County, Poway enjoys close proximity to North and South County via the Interstate 15 corridor, inland areas via Highway 67, and an easy connection to the coast via State Route 56. With convenient access to major regional transportation routes, it is no wonder businesses are looking to Poway for their next relocation or expansion opportunity. However, Poway's location and freeway access are just the beginning to the numerous benefits for business operations. For years I have preached, "Instead of making cold calls, make a speech." The renowned English philosopher Sir Thomas More put it best when he offered this classic summation: "A country's character is defined by its everyday rustics. They are the legs you stand on, and that position demands respect." He was obviously referring to the peasant farmers upon whose labor the British economy was sustained. The best sales performers will inevitably boast of their ability to close the sale, if they can just get a legitimate opportunity to make the pitch. The bane of their existence is their inability to get a foot in the door, and under the right circumstances. This report details what's going on up north, as this region of the county continues to grow at an amazing pace.